The posters and trailers for Thor: Ragnarok promised something different — a movie that’s a little more psychedelic than your typical Marvel film, a little more retro, while taking itself a lot less seriously. Ragnarok mostly delivers on that promise. The film, which officially opens tomorrow in the U.S., is directed by Taika Waititi, best known for the comedies What We Do In The Shadows and Hunt for the Wilderpeople. It looks like the studio allowed him to play to his strengths here, creating what might be the funniest Marvel movie yet. The story picks up after the events of Thor: The Dark World and Avengers: Age of Ultron, with the titular Norse god/superhero off on another adventure. Back in Asgard, his brother Loki has assumed the throne by impersonating their father Odin. 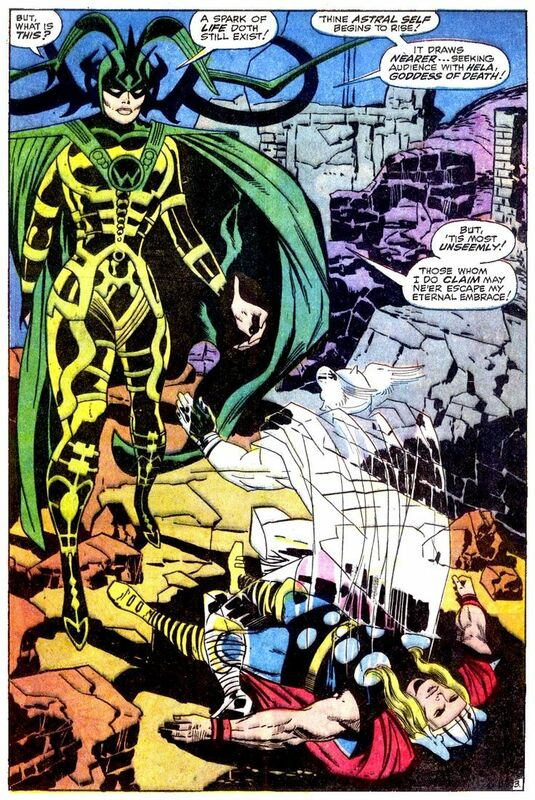 Soon, however, both Thor and Loki end up on the planet Sakaar, home to an interstellar gladiator ring, while Asgard comes under siege from Hela, goddess of death. In other words, this is very much an exploration of the cosmic side of the Marvel Universe. And while previous Thor films have been pretty drab-looking (particularly disappointing given the crazy beauty of the source material), Waititi really embraces that fact — even more than Guardians of the Galaxy, Ragnarok is packed with creatively designed aliens, alien costumes and alien technology. The aesthetic feels like a mix of Jack Kirby and glam rock, with vivid, colorful images that could totally be painted on the side of a van (in a good way). The movie’s also confident enough to let those designs get kinda goofy, and to let the characters acknowledge the goofiness. Jeff Goldblum, meanwhile, ostensibly plays the Grandmaster of Sakaar, but he’s really just giving us a villainous version of himself, in space — and who can resist Goldblum being Goldblum? Chris Hemsworth gets a haircut and brings out Thor’s funny side, while Mark Ruffalo shows up as a more articulate (but still enjoyably angry) version of the Hulk. My favorite character, however, is actually played by Waititi himself — he provides the voice of Korg, a rock-based alien gladiator who reliably turns up at odd moments to offer incredibly polite commentary. So Ragnarok is easily the best Thor movie, and the first entry in the series that can stand with the best of the Marvel Cinematic Universe. But that doesn’t mean it totally breaks free from the Marvel formula. For one thing, while Ragnarok doesn’t waste much time setting up other Marvel movies, it still feels very much like a single chapter in an ongoing story, rather than a complete experience in and of itself. For another, when the action is played for laughs (as it is in the initial confrontation between Thor and the Hulk), it can be both satisfying and funny. The more straight-faced sequences, however, feel weightless and forgettable, leaving me impatient for the one-liners to start again. Still, I’m nitpicking here. Ragnarok is a welcome sign that Marvel can laugh at itself, and that the universe has gotten big enough to make room for brighter colors, weirder designs and better jokes.